When Justin Terbeest and Brian Priefer, ordered the equipment for their new brewery in Hudson, Wisconsin, brewing wasn’t even allowed in downtown. 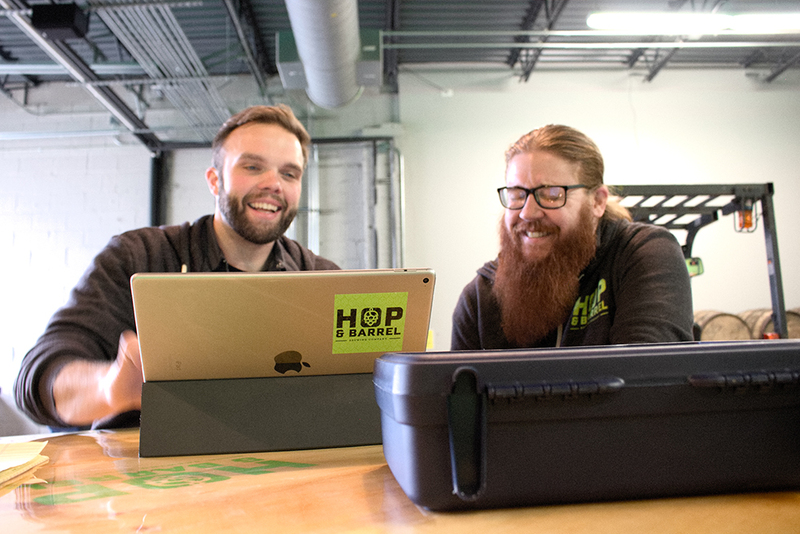 Terbeest and Priefer, co-founders of Hop & Barrel Brewing Company opening on December 16, spent the early months of 2017 attending planning commission and city council meetings to change the law, and by August 1 they had the green light to begin setting up shop. For Terbeest, a family law attorney by trade, changing the ordinance was just another day on the job. An award-winning homebrewer who has been designing his own recipes since 2014, Terbeest began seriously considering opening a brewery of his own about a year ago and, shortly thereafter, had a conversation with Priefer, a brewer he had met through the Hudson Homebrew Club, about collaborating on the endeavor together. The brewer said no. In his career brewing for operations like American Sky, Lucid, and Inbound, Priefer, who started homebrewing in 2005, says he is often against homebrewers opening their own breweries because they can easily underestimate the experience necessary to produce large quantities of quality beer. But by February, he agreed to join Terbeest. The impetus for Priefer finally agreeing to open a brewery with Terbeest was the newly vacated 310 2nd Street building in downtown Hudson. Their conversations had been mostly speculative until they started imagining the possibilities of the location. After one visit, they realized the building, which is a former art gallery and more recently functioned as a winery for 10 months, was perfect for a brewery, even if they weren’t yet allowed to brew there. They designed the front portion to be a low-key taproom, meant for having a conversation or getting work done over a pint of beer, while the large back room adjacent to the brewing area features video games and arcade games like Big Buck Hunter. They envision the back room as a place for people in Hudson to host events. 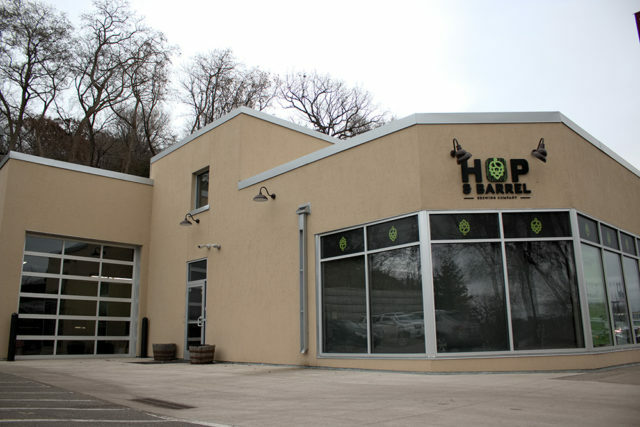 Hop & Barrel is a 15-barrel brewery that is built to grow. By August 1, Terbeest and Priefer moved into the building, and after a 16-day around-the-clock equipment installation, they had a brewhouse set up for decoction mashing and canning, which they hope to start in early 2018. Perhaps the most notable part of Hop & Barrel’s brewing operation is its state-of-the-art beer microbiology lab, outfitted by Terese Barta of Barta Microbiology Brewing Services in Stevens Point, Wisconsin. 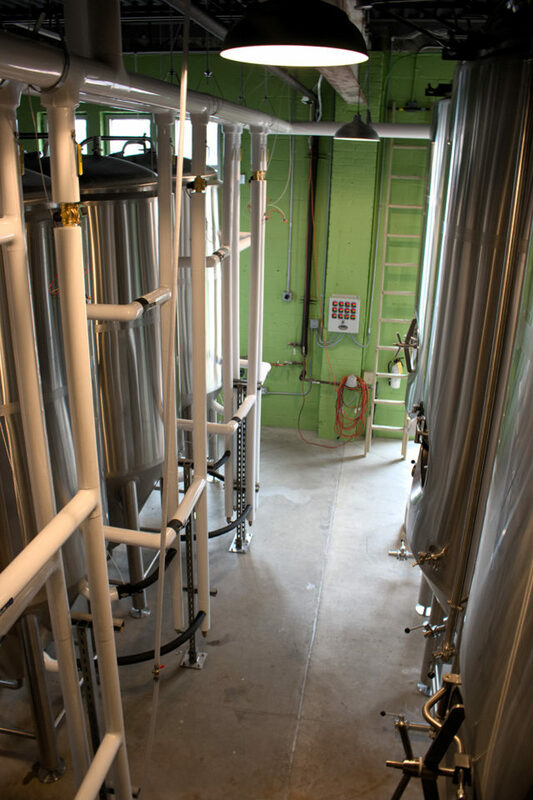 The equipment in their lab will allow brewers to test any beer, water, and yeast for quality assurance, and Terbeest says they have already been contacted by two breweries to use the lab and get training for beer testing. Priefer, a nationally-ranked BJCP judge, points to education and quality as two leading values of their lab and brewing philosophy. Eventually, Hop & Barrel would like to host off-flavor seminars and other classes for brewers and beer drinkers alike in order to educate people about discerning a quality brew. 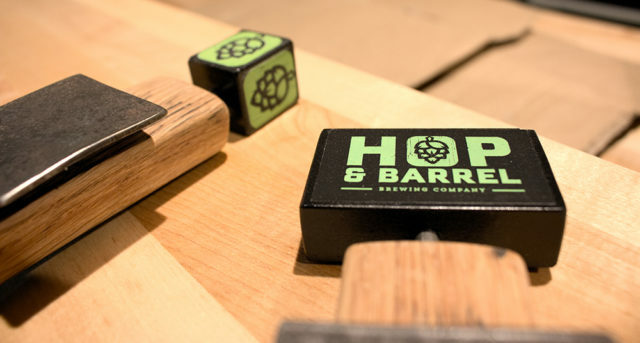 As for their own beers, Hop & Barrel will brew a variety of styles with emphasis on the co-founders’ favorites, IPAs and barrel-aged beers, hence the name of the brewery. Four of the initial beers for launch are IPAs, and according to the website, they use 42 varieties of hops. While Priefer and Terbeest are involved with developing recipes, they hired a third team member to take on the role of head brewer: Chad Forner. Forner came from Third Street Brewhouse where he spent time in the QA lab and as a brewer. “We met Chad on site in July  and we quickly realized how smart he was, and that he just fit our style,” says Terbeest. 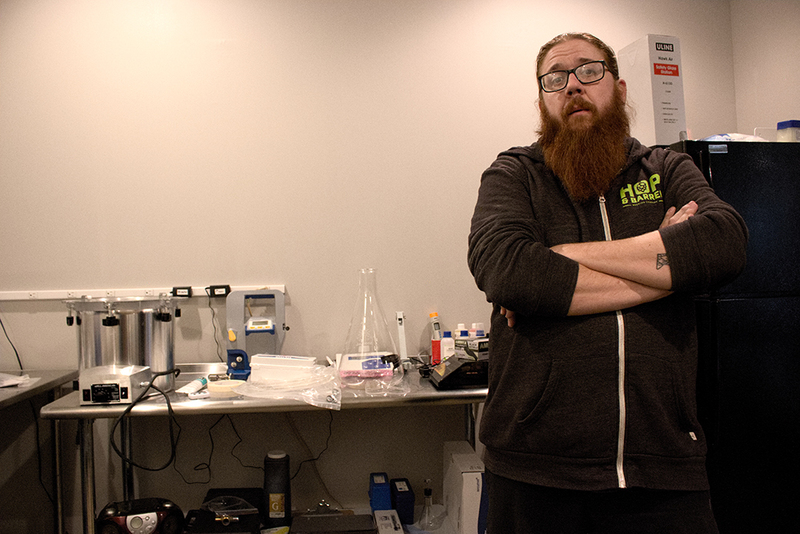 “We called him back later the same day and he accepted on the spot.” Forner officially came on board in September and has helped the founders with construction and recipe formulation. Terbeest, Priefer, and Forner are particularly excited about their “Rule of Two” beers, an ongoing series that will be available in the taproom. 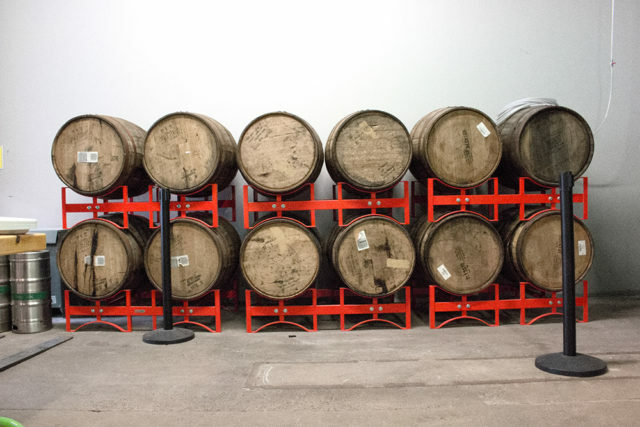 The series is the brewery’s take on the SMaSH (Single Malt And Single Hop) style, but instead of using a single malt and hop combination, they are using equal amounts of two malts and two hops to add flavor complexity while keeping the recipe relatively simple. With its central location in downtown Hudson and two-block proximity to the St. Croix River pier, Terbeest and Priefer are gearing up for an enthusiastic opening and steady business as they roll into next summer. Many eager people have stopped them on the street or have knocked on the brewery doors to ask when they can stop by for their first pint.